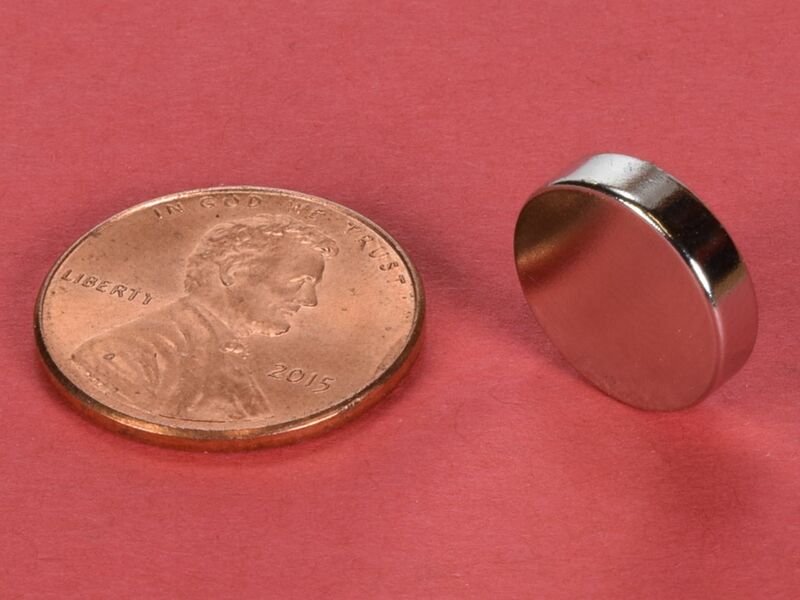 Our D82DIA is an unusual and interesting magnet. 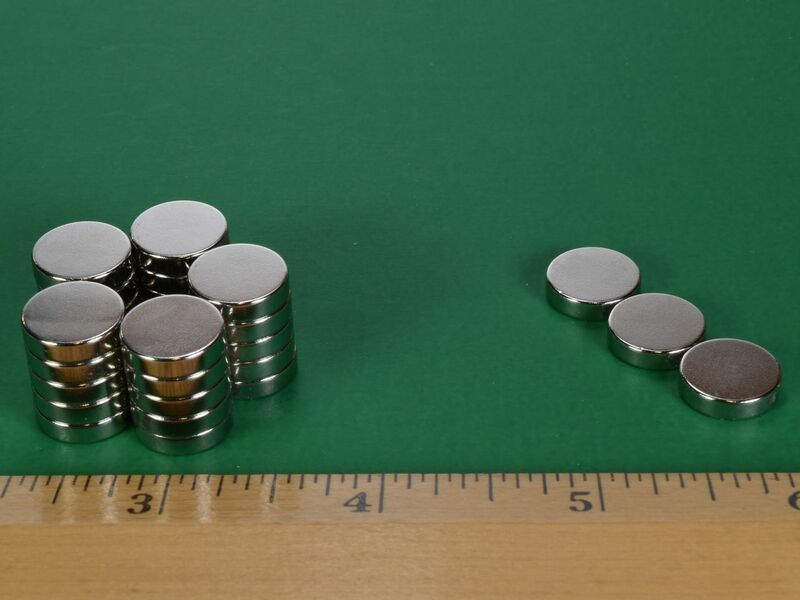 These discs are "diametrically magnetized," which means that the poles are located on opposite sides of the circular shape, not in the center of the circular flat surfaces like most disc magnets. 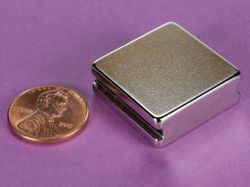 The magnets will tend to want to line up side-to-side rather than stack on the flat surfaces. The unusual magnetization makes them an interesting disc to experiment with. 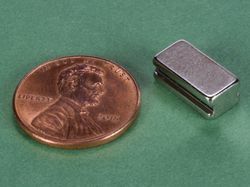 This size is also available in grade N52 with our standard Nickel plating as part number D82-N52, in grade N52 with Black Nickel plating as part number D82B-N52, in grade N42 with a Black Epoxy coating as part number D82E, axially magnetized in grade N42 as part number D82, and in High Temp grade N42SH as part number D82SH.